To be healthy, our bodies require a well-balanced community of bacteria, viruses, and fungi that live on and inside our bodies. This “microbiome” is comprised of over 100 trillion microbes, plus their genes. Why we do need these microbes? The answer is counterintuitive: Lack of exposure to bacteria and parasites early in life and antibiotic use increase a person’s susceptibility to disease by suppressing the natural development of the immune system, allowing pathogenic bacteria to proliferate and destroy the integrity of intestinal lining, while killing off good bacteria. To learn more about the microbiome and its relationship with brain health, the BrainFutures team spoke with Dr. Robynne Chutkan at her Digestive Center for Wellness in Washington, D.C., which incorporates microbiome analysis and nutritional counseling as part of a therapeutic approach to digestive disorders. 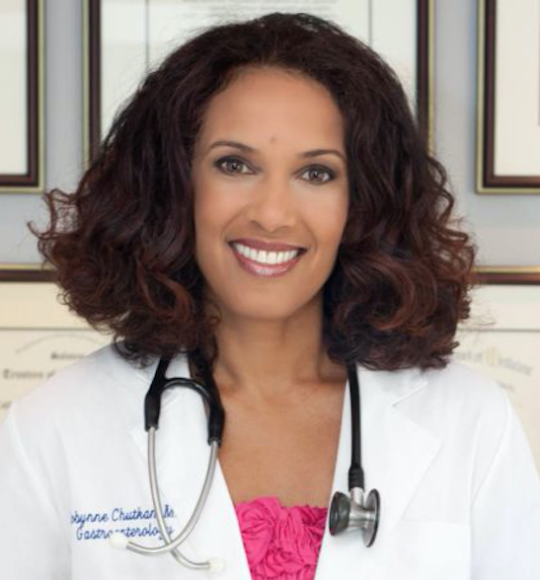 Dr. Chutkan is an integrative gastroenterologist and the bestselling author of three books: Gutbliss, The Microbiome Solution and The Bloat Cure. Microbes are the “worker bees” of the gut. Think of the gut as the wheel of the body, with spokes going out to key organs, including the brain, heart, lungs, liver and adrenal glands. These organs’ processes require fuel, which is produced in the gut. These “worker bees” stimulate the immune system, break down potentially toxic food compounds, and synthesize certain vitamins and amino acids that we cannot produce ourselves, such as Vitamin K. They also produce key mood-related neurotransmitters, including serotonin and GABA (gamma-aminobutyric acid). Your microbiome develops over your lifetime and reflects everything about you, including how and where you were born, whether you were breastfed or formula fed, where you’ve lived and your profession, as well as past infections and exposure to chemicals, toxins, medications and hormones. Damage to the microbiome—called dysbiosis—is the root cause of a broad range of autoimmune diseases like thyroid disorders, multiple sclerosis (MS), and type-1 diabetes, as well as gastrointestinal disorders like Crohn’s, ulcerative colitis and irritable bowel syndrome (IBS). There’s increasing evidence that the microbiome is also connected to mood disorders. 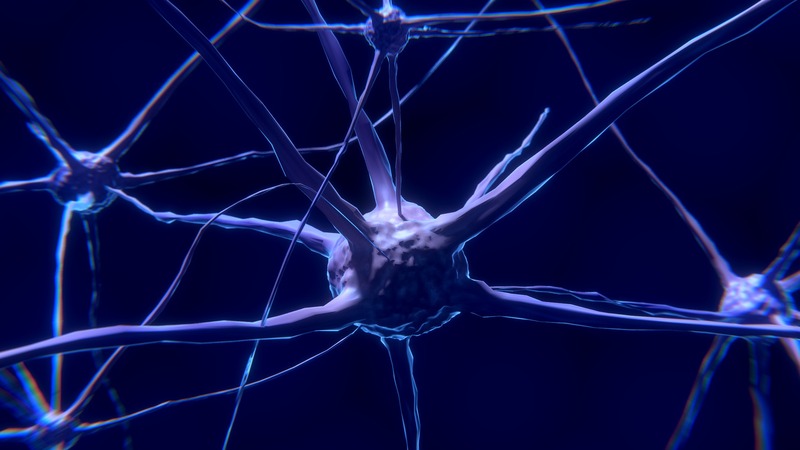 The enteric nervous system is the mesh-like system of neurons that governs the function of the gastrointestinal tract—It is called the body’s “second brain.” The enteric nervous system in humans consists of some 500 million neurons, which is approximately five times as many as the 100 million neurons in the spinal cord. The gut-brain axis is the biochemical signaling that takes place between the gastrointestinal tract and the central nervous system. This means that the brain directly influences the gut and vice versa. Dr. Chutkan further explains, “When we think about something like stress, we can see dysregulated neurotransmission. We explain to people that it’s not just in your mind, because this dysregulated neurotransmission alters your hypothalamic pituitary response, which leads to damaged nerve cells in your gut, which can lead to things like abdominal pain and constipation.” Similarly, a serotonin dysfunction in the gut can cause impairments in brain functions involved in mood, sleep and behavior. We can change our microbiome— and thereby improve our brain health—through our diet. Dr. Chutkan recommends a high-fiber, primarily plant-based diet rich in fermented foods. 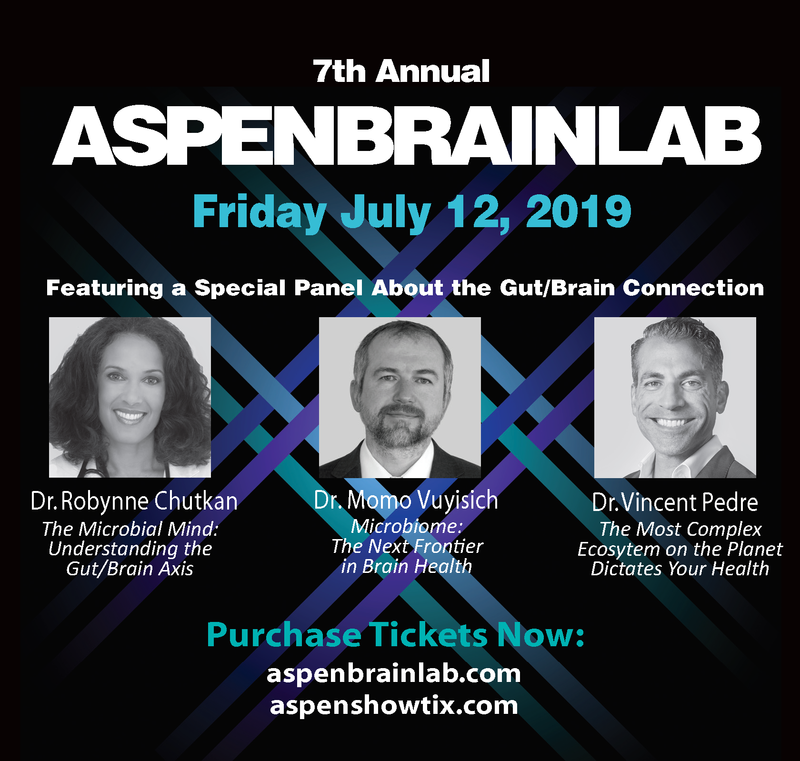 BrainFutures is proud to be partnering with the 7th Annual Aspen Brain Lab, where Dr. Chutkan will participate in a special Microbiome and the Brain panel discussion on July 12. Find out how you can learn more from Dr. Chutkan and hear from 11 other thought leaders, including BrainFutures Advisor Dr. Sandra Bond Chapman, at the Aspen Brain Lab.